The most important piece of advice I can give you about beginning to prepare your own herbal remedies is to start with quality ingredients. The banners shown here represent two of my favorite sources for quality herbs, EOs and ready made preparations, among many other things. 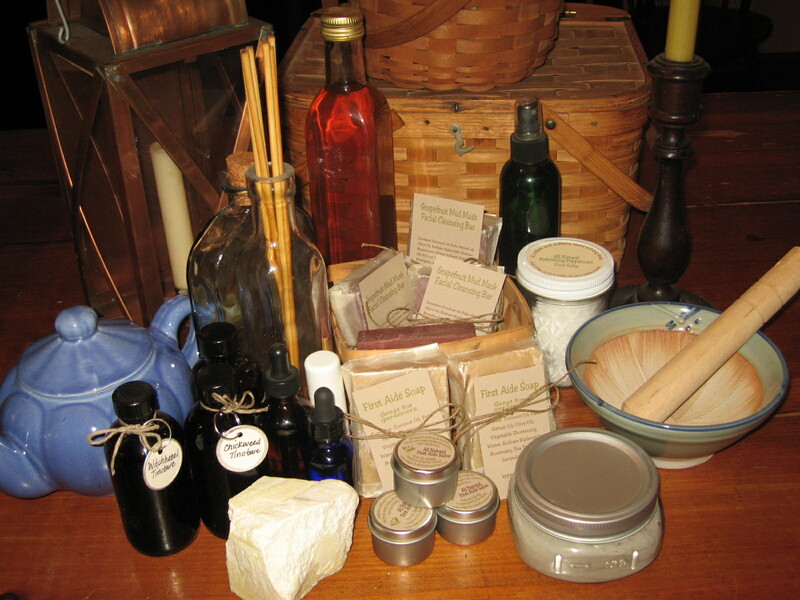 Mountain Rose Herbs also offers some great How-to videos on their web site. But before you begin, don't just take my word for anything you read here, do your own research. One of my favorite resources is The Medicinal Herbal by Penelope Ode. Some of the info I'll share here comes from her wisdom and experience as well as that of other herbalists. Click on the link at the left to review and/or purchase her book. Vintage Remedies offers some valuable classes on prevention, whole foods and herbal remedies that result in certification at various levels. You can find some free, e-courses and The Wildcraft Game at LearningHerbs and The Herb Mentor. There's lots of information on the web but you need to verify your sources. While I can't endorse some of the practices and beliefs of some of the authors, many do offer valuable herbal wisdom. Be discerning. What I'm going to share with you are things we use in our home and have researched and experimented with over the years. Based on feedback and personal experience we have received some great empirical evidence of their efficacy. All that to say that the field tests have been successful! Fresh or dried herbs - purchased, grown or wildcrafted. Essential oils - a few of my favorites are lavender, tea tree, peppermint, rosemary. This list should have you up and running with a variety of herbal remedies for your Herbal Medicine Chest. We have an herbal medicine chest and use it almost exclusively when we are ill or for prevention.